sewing in the past: auditions. that single word can bring forward the greatest fear in all the world. my legs start to shake. and i run INTO things. two weeks ago i got to do something i'd never done before. sure, i've auditioned for shows before...but that's always been in front of people i know...at a homeschool school. i auditioned for a community theatre. b. i can't do the show anyways because i've got another one going. c. i can't even attend callbacks! d. we're doing this show at JOY next spring! e. but, hey, it'll be a good experience. so i did it. i auditioned for the sound of music. and it WAS a good experience. i got to get all my nerves out...and find out how auditions are done there. 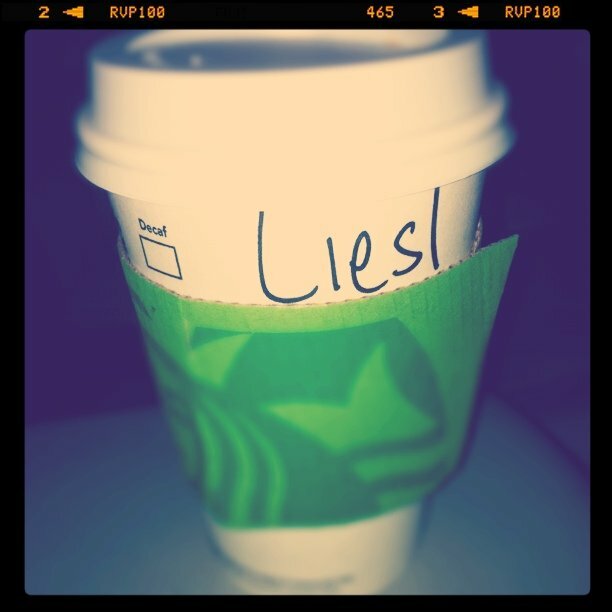 i even had wishful thinking afterwards and named my starbucks cup liesl! no. i didn't get the part. yes. i'm okay with that. i'm so relieved that my first audition is OVER! yes. i was a nervous wreck! after the audition you have to be measured. the costume lady asked me something...i didn't hear. i (politely as possible) responded "sir?" i got a strange look. she then reasked the question...in a male voice. good thing she did not easily offend!! after which they take a headshot of you (so as to remember you by). he had those light reflector/umbrella things set up. i had to walk past them. wouldn't you know...i ran INTO them. all in all, however...i'm glad i auditioned. and even more importantly...i cannot WAIT until auditions next month! ANNE OF GREEN GABLES: THE MUSICAL!! Anne?? That would be amazing! She's my favorite. So glad you got to have that experience, Rebecca. And don't be embarassed about your "sir/ma'am" error -- when I auditioned for "The Lion, The Witch, and The Wardrobe" at the Artisan last year, I realized I'd misread the instructions -- the monologue was supposed to be a section from the book, not a short narrative of everything that happened to my character in the book! :P I hated myself. And no way did they give me the part -- I obviously couldn't follow directions. 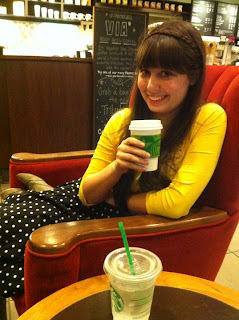 But I can't wait of Anne of Green Gables auditions either -- I'm auditioning for Josie Pye! I'll se ya there! eep!! you're auditioning for AoGG too?!?! YAY-ee! you haven't a clue how excited that makes me! can't wait. My worst ever audition was Cinderella. It was at a theatre I'd never auditioned for but everyone else knew everybody from like BIRTH (it's the children's theatre i've pretty much lived at ever since, but this was my introduction), and no one really talked to me. I'd come straight from opera and choral work, which meant I could act somewhat and sing AMAZINGLY but hadn't danced since I was about 14. (I was 20 at the time.) The teacher who taught us the audition dance was very... confident... in our abilities and no one got it perfectly in the whole group, but I had it worse. :sigh: I wish I could audition for something. You're lucky for the opportunities! !